The Covercraft UVS100 sun shade is only $11.38 right now, in blue metallic only. This sells for around $50 usually, and with Amazon, when one gets sold, the price jumps right back up again. I have this, and its solid and folds up, and a perfect fit. Last edited by dakotaff; 12-19-2016 at 10:23 AM. Superchips 3842 unlocked, right here in the DF classifieds. Superchip 3865 unlocked. Been posted for a while here on DF. Last edited by dakotaff; 07-27-2017 at 03:04 PM. 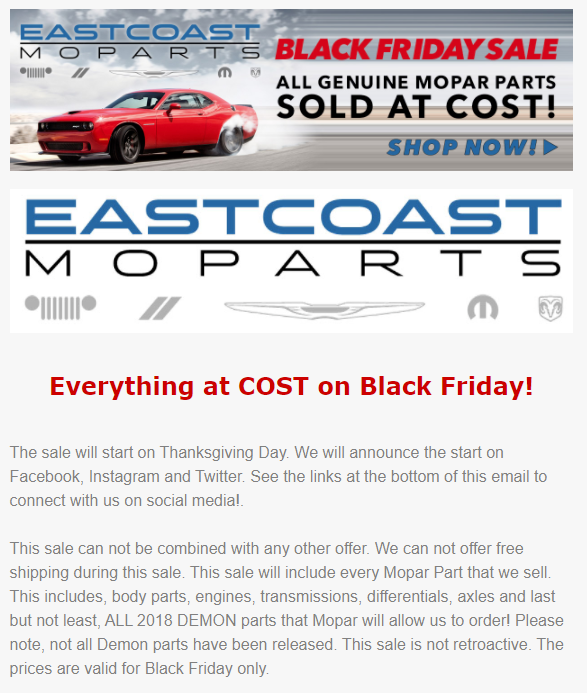 Black Friday sale on OEM Mopar parts, 'At Cost' pricing. This yearly sale starts on Thursday. *** Not Mine *** --> CL find. Free Fiberglass hard tonneau cover, Flame Red, looks good in the pictures. Appears to be located to be near the NY/NJ border, according to the listing. You can get Rain-X RX30222 Weatherbeater Wiper Blade - 22-Inches for $6.01/ea from Amazon at the moment. Stock size is 21-inches but I measured and these should fit fine (mine arrive tomorrow) great on the Drivers side, a tad big on the passenger side but only on the door side I think it might hang off the edge of the glass some but shouldn't rub anything (but glass of course). Worst case I buy a 21" for the passenger and keep the extra 22" for the next refresh. I'll try to remember to edit this post to confirm if 2x 22" work well or not. It rained today and the 22" works very well on the driver side but the passenger side extra length seem to cause it to miss the bottom right corner of the windshield due to the hang off. are only $7.01 so I ordered one of those which I'm sure will cut the mustard. You can get these even cheaper if you subscribe and save but I want to test them for more than one drive in the rain before I sign up to get new ones every 6 months. Last edited by EliteTempleton; 04-10-2019 at 11:53 PM. 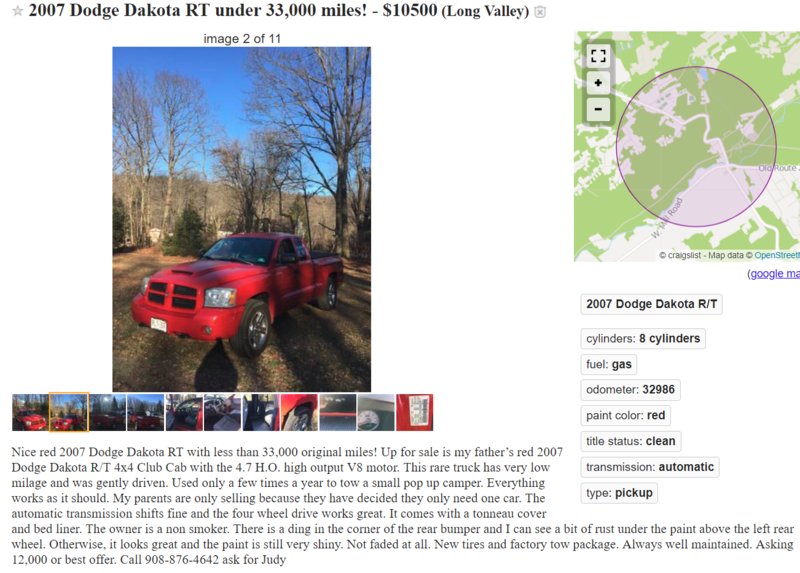 Not sure anyone is interested, but check out this 2007 R/T for sale, under 33K on the clock. Not mine, and no affiliation. Click HERE for Full CL ad. Last edited by dakotaff; 04-10-2019 at 12:26 PM.